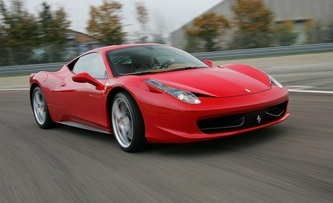 “It is the greatest supercar the world has ever seen.” Jeremy Clarkson. We agree with him 100%. 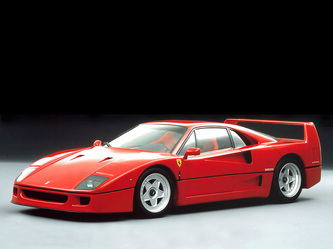 The F40 stands out as the icon that most clearly represents Maranello's love for racing. In fact, it is the last super Ferrari that Enzo himself had asked for and helped develop. 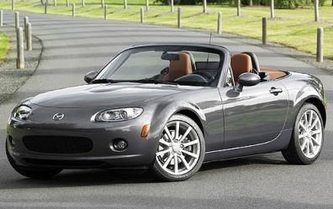 It is still considered by many as the best sports car every made. 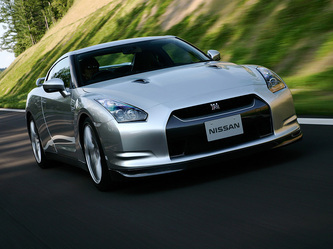 Equipped with a 2.9-liter twin-turbo V-8 that pumps out 478 bhp at 7000 rpm and 425 lb.-ft. of torque at 4500 rpm. The F40 can reach 60 mph from a standing start in a scant 3.8 sec. 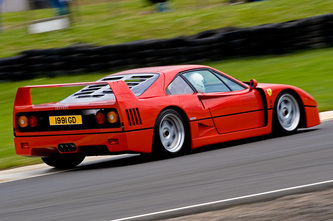 The Ferrari F40 was the successor to the 288 GTO and was built from 1987 to 1992 with only 1,315 being produced. At the time, Enzo Ferrari was closing in on 90 years of age and the company was hitting it's 40th anniversary. 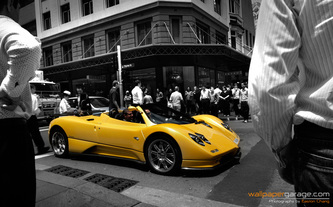 Enzo wanted to create statement car, a car that took racing car technology and put it into a road car. 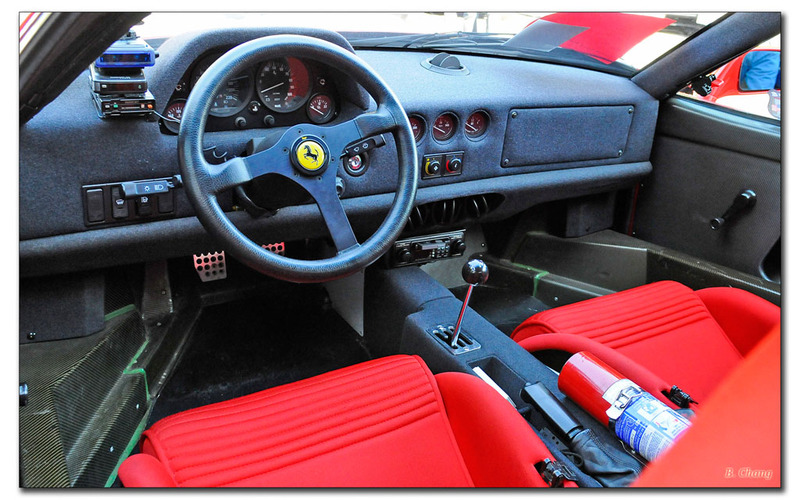 So he commissioned the F40, the final car overseen personally by Enzo Ferrari himself. 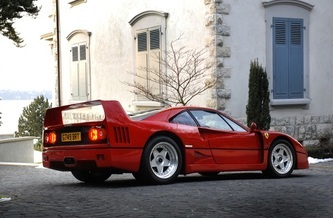 Today, the F40 still ranks high on many race car drivers and journalists minds as the best ever. 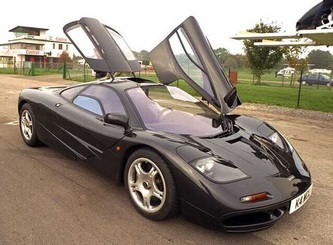 Many believe it is the greatest supercar of all time. 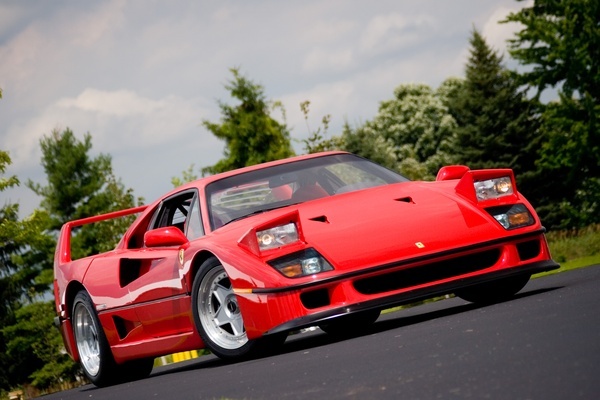 Part of the passion for the F40 is the fact that is was essentially a race car for the road. It was built with only the most essential systems (no power assistance was offered for the brakes or the steering) and in many regards is a car with functional simplicity. The complete package combined stunning looks and tarmac ripping performance, which could very well be considered the essential ingredients for being a supercar. The lack of creature comforts and practicality ads to the 'perfect mix.' Driving a F40 requires a very strong left foot and a very careful right foot. Incorporating advanced composite materials, the F40 was very light. It features extensive use of carbon fiber and Kevlar, which was the newest, lightest high tech composite material available at the time. 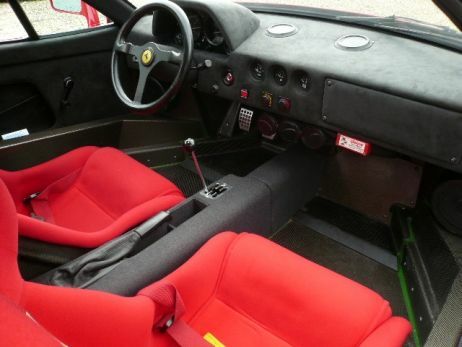 The Ferrari F40s body panels were a structural part of the chassis, and its tube frame foundation was constructed from Kevlar and aluminum honey comb sections, just like racing cars at the time. The interior was equally functional, it had no carpet, visible glue joins and no radio. 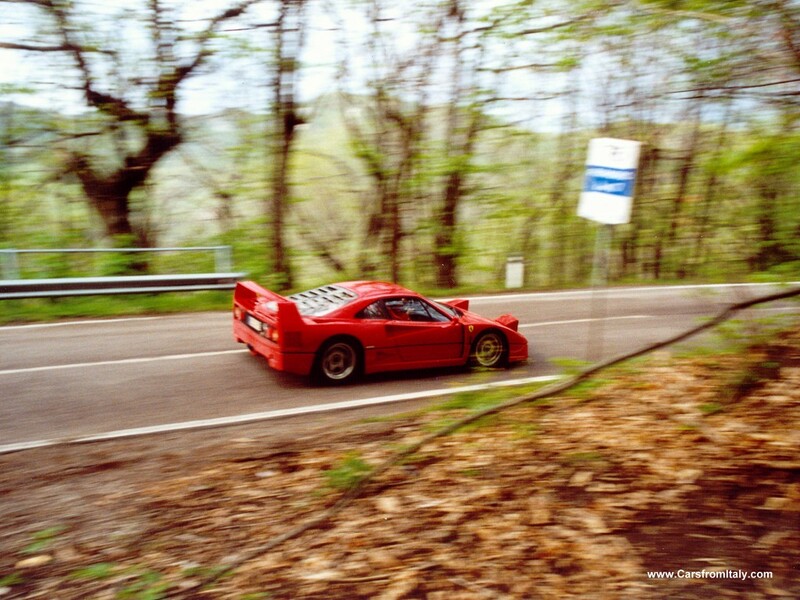 Ferrari used a 3.0L DOHC V8 engine based on the power plant of the 288 GTO, the car that Ferrari had been developing to compete in Group B. 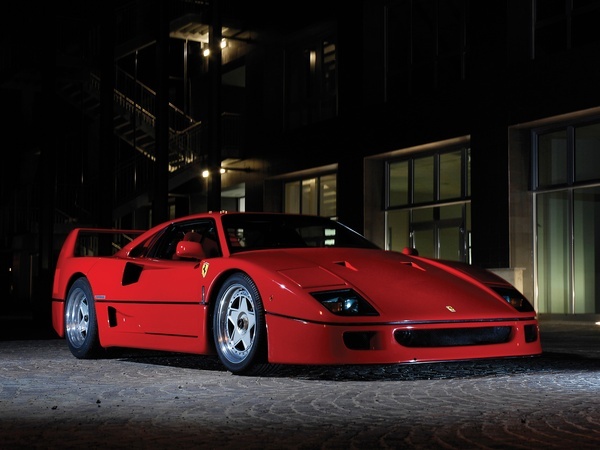 The displacement was increased for the F40 and boost pressure tweaked, the result was an impressive 478 Horsepower and 425 ft-lbs of torque. 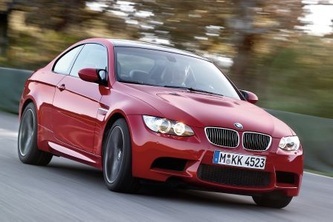 This powerful engine is mated to a five-speed gearbox. 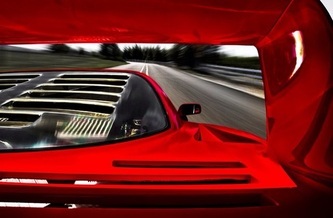 The 1,100 kg car could accelerate to 62 in 3.8 seconds and could reach a top speed of 201 mph, making it the fastest production car in the world at the time of its release and the first road car to crack the 200mph mark. 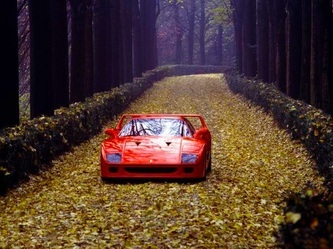 The F40 generated a huge amount of publicity for the Ferrari and became an icon for Italian performance. 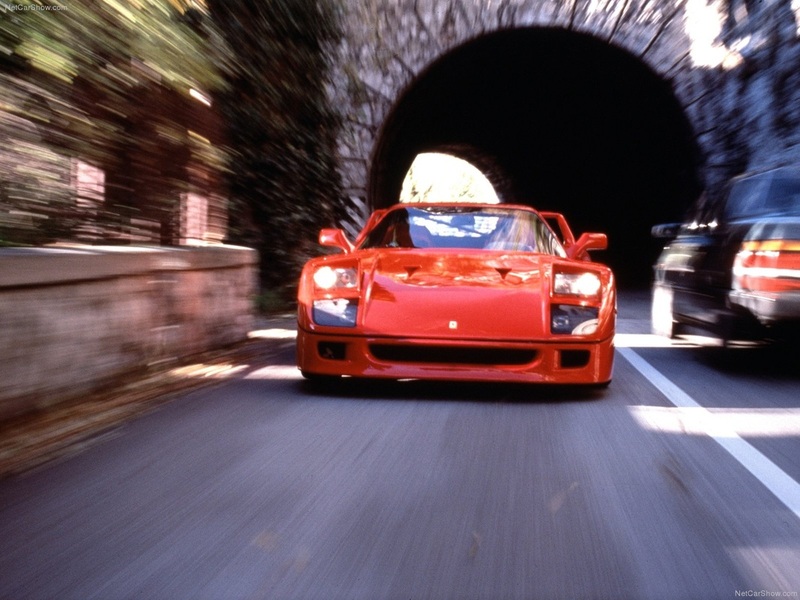 In many ways, it's impossible to overestimate the impact of Ferrari's F40 on the supercar scene in the '90s. It explored the limits of performance and what could be achieved. 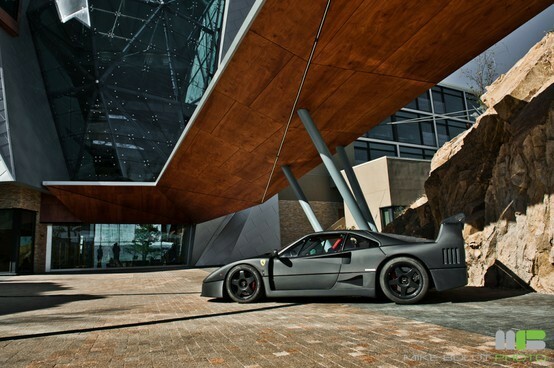 This ethos was extended and followed up by the F50 and 2002 Enzo. 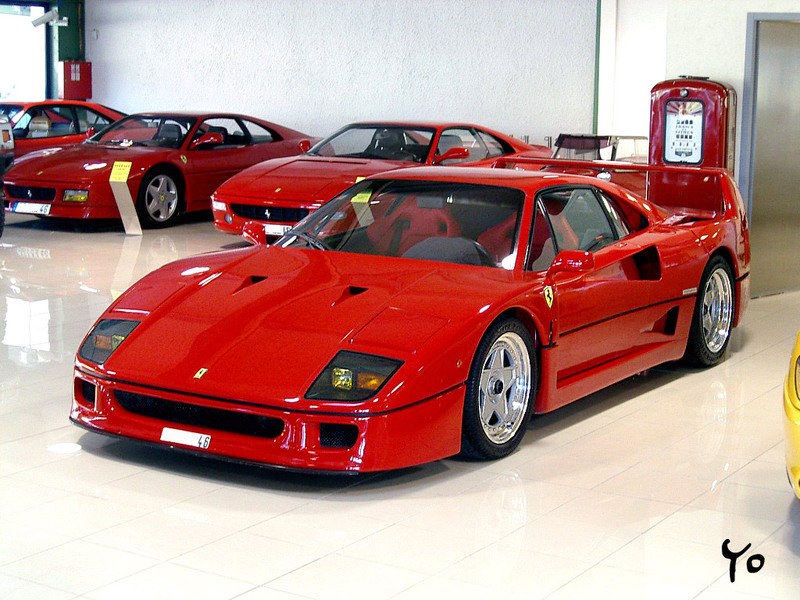 On Top Gear, Richard Hammond and Jeremy Clarkson both refer to the F40 as the "greatest supercar the world had ever seen". 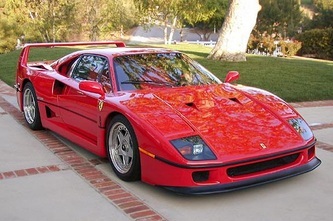 Jeremy Clarkson also said the F40 is one of the most beautiful cars ever made. 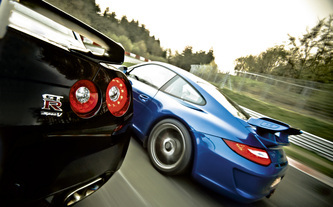 In series 16, episode 6, Richard compared the F40 against its main rival, the Porsche 959. 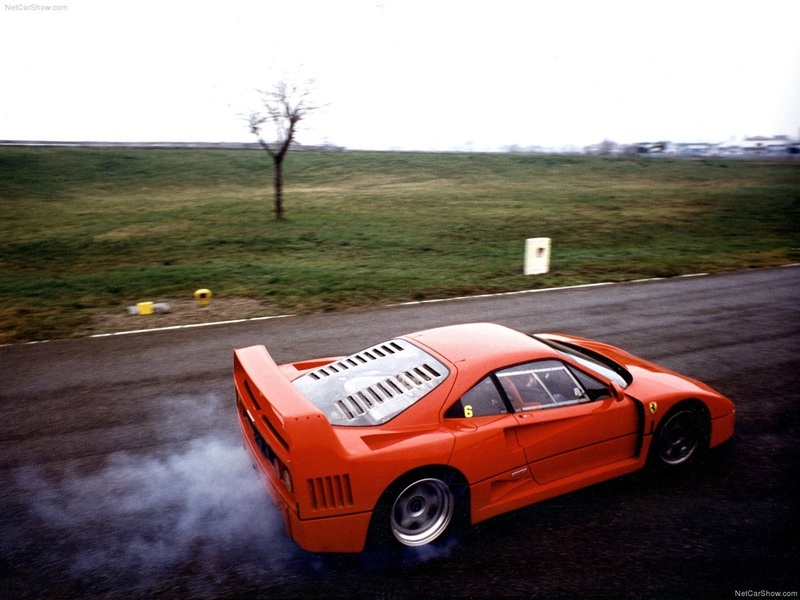 However, they never completed a lap on the Test Track, as the F40 failed to start and the 959 had problems with the turbos. 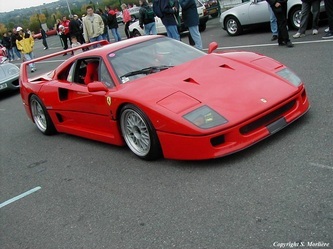 That is, I suspect, one of the main reasons Ferrari built the F40. To prove to the world it could build a faster, more exhilarating street-legal car than the 959. 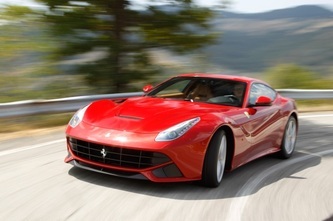 Ferrari has succeeded. 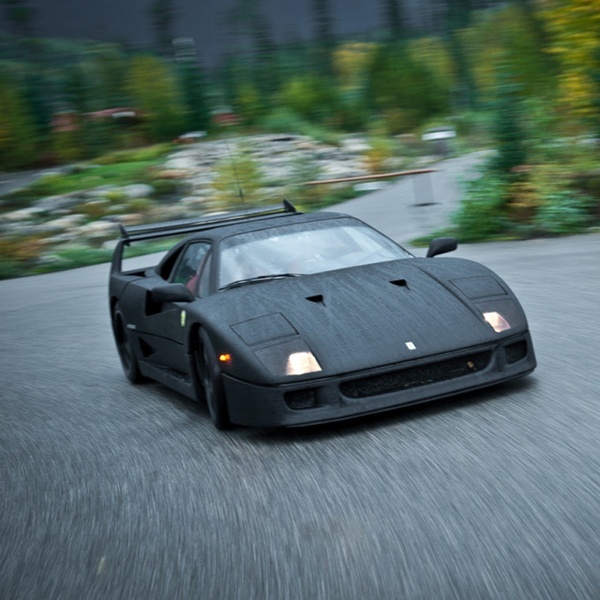 For breath-taking excitement, the F40 is supreme. Yet, for all-round greatness, there is little doubt that the 959 is the better car. It would be quicker on a long trip, because it is less tiring. It would be quicker on an Alpine pass, in the hands of anyone short of Gerhard Berger’s talent, because it has better traction, and greater nimbleness. 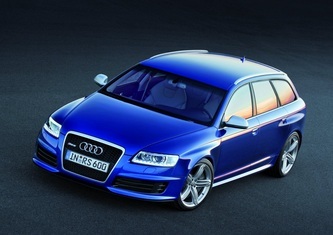 It would be quicker on slippery surfaces, thanks to the grip offered by its four-wheel drive. It is a far greater technological statement. 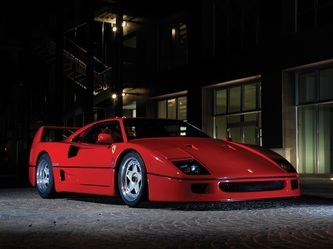 In simple terms, the F40 is a superb engine wrapped up in a lightweight body. Following the turbocharged successes in Formula One, the 288 GTO was Ferrari's first road-going turbocharged model in 1984. 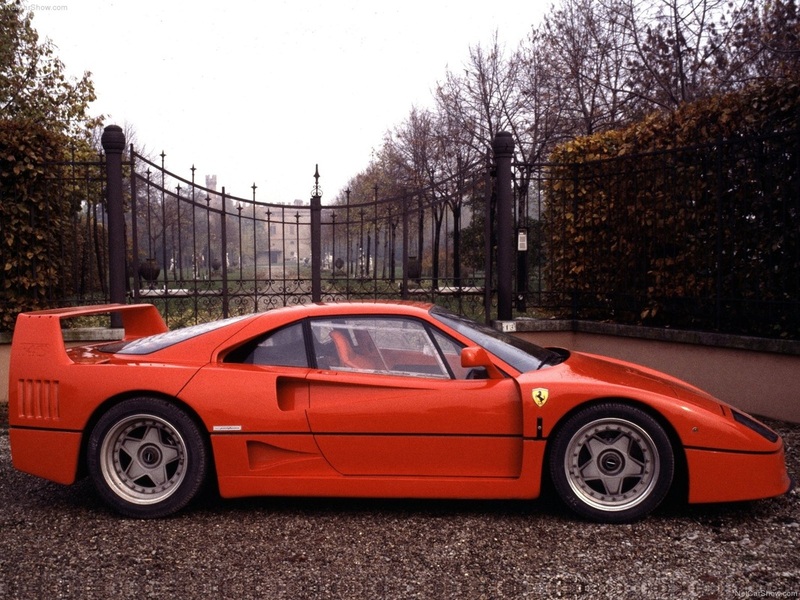 The F40 followed in its path and shared its longitudinal, mid-mounted configuration. The F40 used an enlarged, 2.9 L (2936 cc) version of the GTO's twin IHI turbocharged V8 developing 478 PS (352 kW; 471 hp) under 110 kPa (16 psi) of boost. The flanking exhaust pipes guide exhaust gases from each bank of cylinders while the central pipe guides gases released from the wastegate of the turbochargers. 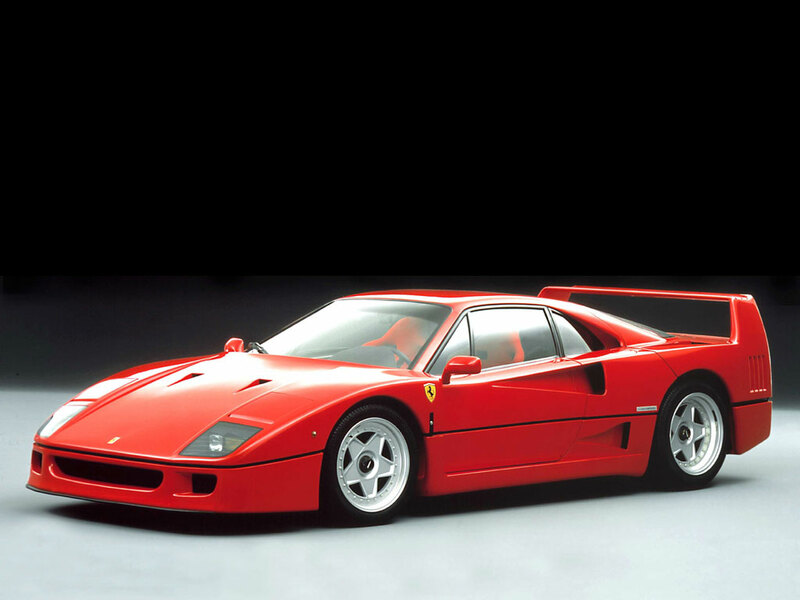 The F40's light weight of 1,100 kg (2,425 lb) and high power output gave the car tremendous performance. 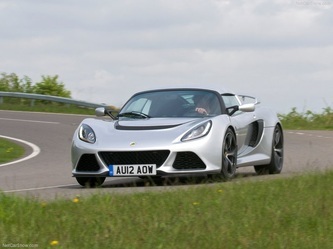 Road tests have produced 0–100 km/h (0–62 mph) times as low as 3.8 seconds (while the track only version came in at 3.2 seconds), with 0–160 km/h (0–99 mph) in 7.6 seconds and 0–200 km/h (0–120 mph) in 11 seconds. The F40 was the first road legal production car to break the 200 mph (320 km/h) barrier. From its introduction in 1987 until 1989 its only competitors were the Porsche 959 and the 1988 Lamborghini Countach.